It has been three days now since I started using the Hylunia Facial Day Lotion and I love how it has been treating my skin. 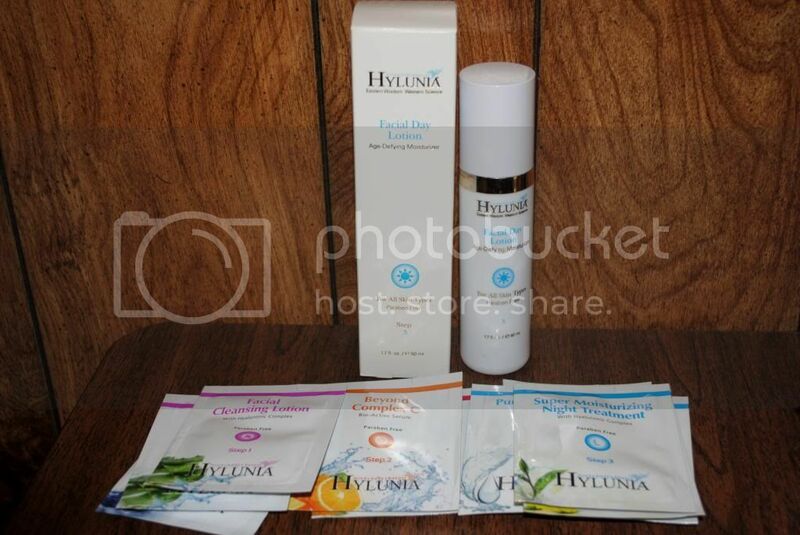 The Hylunia Facial Day Lotion is the first facial lotion that I have ever used. I have used lotions on my face before but they were not specifically formulated for my face, they were body lotions. The Hylunia Facial Day Lotion is for all skin types and is paraben free. It has an age defying moisturizer which I don't really have the need for because I am still in my early 30s and I don't see any wrinkles and fine lines on my face yet. Aside from the Facial Day Lotion, Hylunia also sent me a bunch of sample sized products for me to try. I have also been using Beyond Complex C Bio-Active Serum, Super Moisturizing Night Treatment and Facial Cleansing Lotion with Hyaluronic Complex. I like the feel of my skin after using them. They are very gentle on my skin and nose. The 1.7 oz of this Hylunia Facial Day Lotion will last me for quite a while because I only need to apply a pea size amount of it and that will cover my whole face and neck area.